If there’s one trend you’ve noticed all season, it’s snakeskin. Seriously, the print is everywhere from your Instagram feed to the streets of your city. From shoes to handbags to coats and so much more, you can jump on the trend with pretty much anything. I’m a big fan of it, so I’ve rounded up a selection of fashion staples featuring the snakeskin print for you guys to shop. 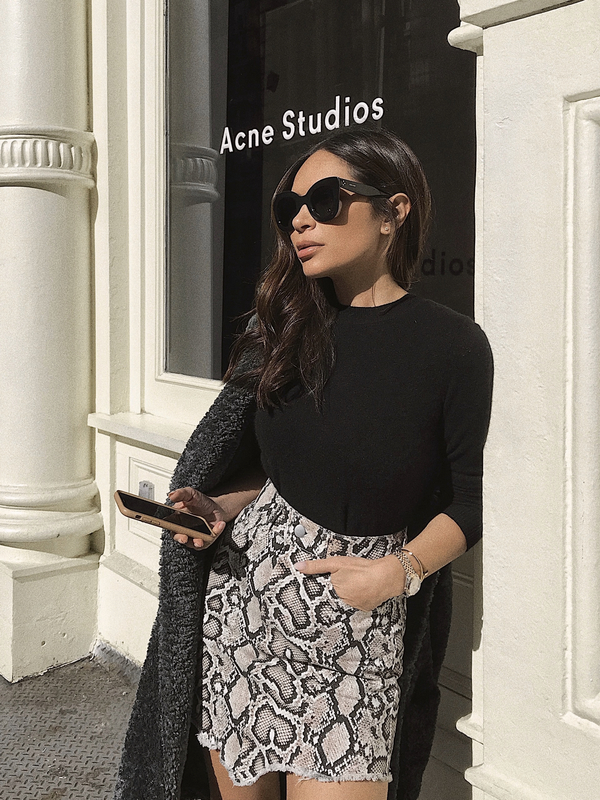 If you’re in need of some new wardrobe staples, consider giving the snakeskin trend a go. From jackets to skirts to tops and more, you’ll find pieces that will live in your closet for a long time and that can be mixed with the things you already own. The print is versatile enough to be paired with a variety of colors and fabrics. One of the biggest trends of the season is snakeskin shoes. While snakeskin boots have always been around, they’re definitely having a moment this year. You can also find a great selection of snakeskin heels, flats, or slides depending on your personal style. Of course, I wouldn’t leave accessories out of the mix and the snakeskin trend gives us some really great handbags. From totes to crossbody styles, there’s a snakeskin bag out there that’s right on trend and fits all of your needs. Whether you just need your phone and wallet for a night out, or you need to stash some extra necessities, there’s one that works for everyone. I’m especially loving the snakeskin boots by Jeffrey Campbell this season! They are so good looking!